Sports betting is now available at land-based casinos throughout Mississippi and gamblers will be pleased to learn that Palace Casino is one location that will support various wagers on sporting events. The new gaming regulations went into effect on July 21, 2018, and now allows gamblers in Mississippi to visit leading locations like the Palace Casino Resort to engage in exciting sports betting action. It is believed that the majority of all commercial casinos in the state will soon follow suit and be offering an exciting sportsbook for those that are looking to extend their gambling session and place wagers on leading sporting events. Palace Casino Resort has teamed up with William Hill to offer sports betting and there will be some great bonus codes that can be redeemed for those that are getting started. At Palace Casino Resort, there are already some amazing promotions for those engaging in traditional casino games, but with the new offering of sports betting, there will surely be some exciting offers that cater to the needs of those that enjoy the thrills of betting on sports. At this time, it is unclear what types of bonuses and promotions will be offered at the Palace Casino Resort sportsbook, but one can be sure they will find many ways to enjoy free bets so they can win more while enjoying top-rated sports action. As the sportsbook takes off and attracts loyal bettors, it will most likely be featured as a legal online sportsbook, where members will have the ability to take advantage of some amazing bonuses and promos that can be redeemed online. Currently, online gambling is not legal within the state of Mississippi, but it is believed that this state will soon take steps to offer legal online sites that will include those like Palace Casino Resort, where players can enjoy their preferred games as well as all of the sports betting action that will be available. 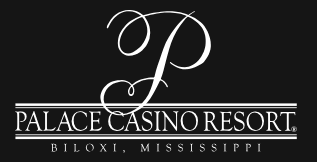 Seeing as online gambling has not yet been legalized in the state of Mississippi (though this is soon to change), players will not have the ability to access the online version of Palace Casino Resort to place any real money wagers. They can, however, access some free games to preview what they will find when they step into the casino floor, but as of now, no mobile platform is offered for any real money betting services. Mississippi does have plans to legalize online gambling in the future and when this is done, those who are looking for a trusted name and a secure environment will surely benefit from accessing the online and mobile versions of the casino as well as the Palace Sportsbook. When a sports betting app goes live, we’ll revisit this review to give you our honest opinion of the product. While there has not been complete regulatory approval at this time, Palace Casino does plan to open their sports book in time for the upcoming football season and it will be located in the Contact Lounge & Sports Bar. The sportsbook will feature a bar experience along with an integrated bookie and there will be many great odds, promotions, and excellent coverage of all major sports and events. All guests at Palace Casino Resort will have the ability to wager on professional and college sports that will include boxing, hockey, soccer, baseball, basketball, football, NASCAR, and so much more. Until the sports book is actually open, patrons will continue to enjoy the only Smoke-Free casino resort in Biloxi and will benefit from amazing game selections and outstanding chances to win. With the new sportsbook in the near future, those who visit his Mississippi casino will be in for a treat as they engage in a complete gambling experience. The Palace sportsbook should offer a complete list of common sports as well as those that are a bit rarer, such as darts motorsports, rugby, or snooker. For any sportsbook to be successful, it must offer coverage of all types of sports, so one can expect the Palace Casino Resort sportsbook to do exactly that when it is up and running. Palace Casino is one of the top-rated casinos in the state of Mississippi and with the newly coming sports book, fans of all types of sports will be able to place a variety of wagers, enjoy different types of bets, and benefit from great odds. The sportsbook should also offer some exciting bonus codes and promotions that can reward those that are loyal to the casino and engage in sports betting activities on a regular basis. Sports bettors are eagerly awaiting this new and exciting sports book and this is just one of the many that will be opening in Mississippi, offering bettors many great opportunities to start placing legal bets and collecting great payouts.